February: the month of LOVE and surely there are plenty of stories which cover the “traditional” love story. Our worldly stories, however, teach us so much more about love than just that. This month we will explore six love stories, each from a different country and each with their own unique message about what it means to love and be loved in return. This week’s story is about appreciation: appreciation for what we have that money can’t buy: the true love of another. 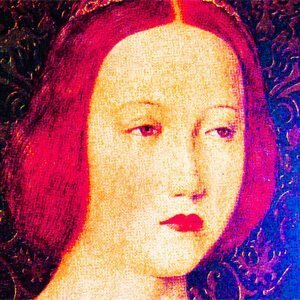 The story of a conceited princess of England who thought that no man was worthy of her hand. The prince of Denmark, however, is determined to change her mind. He sends many a gift, each one she destroys, literally, along with his pride, but, alas, he is determined to change her proud ways. He decides to go to the kingdom in disguise, tricks her into marriage and forces her to live a life of the common woman. Through a series of unfortunate events, she learns an important lesson about herself and what it means to truly love another through appreciation. A story from Denmark, this European Folk Tale is a wonderful tale of appreciation of the common gifts in life that wealth cannot buy, most importantly of these, love. A common story thread, a member of royalty is forced to live a life of a commoner and learns a great deal about life and love in the process. Learning to appreciate life’s greatest gifts…values we want to instill in our students and a reminder for all of us of what is most important. This story meets Common Core Standards for 2nd -4th grade and is a wonderful addition to a February Unit surrounding the Theme of Love and to teach the literary skills of Characterization, Sequence of Events, and Cause & Effect. This story also lends well to Compare/Contrast stories with a similar plot line and similar/different outcomes. We offer a wonderful Decision Map to support teaching Characterization which will help students recognize the value of the lesson in this story surrounding love and appreciation. Extend your standard learning of the literary skills with a story that your students will sure to ponder and love. Happy LOVE Storytelling! Posted in Stories to Grow by Blog.